As far back as I can remember, the thing that I most looked forward to most as a child were the weekends I spent at my Dad’s house. Until I was 12 that meant packing my bags and hopping in the car with my Mom and brother to make the 30 minute trek for a weekend filled with coloring books, The Little Mermaid, mac & cheese and cinnamon rolls. Except for the perpetual smell of cigarette smoke, there was nothing I didn’t love about spending time at my Dad’s house. Why didn’t my Dad ever pick us up? Well, my Dad didn’t have a driver’s license until I was 12. You see, while the exact number of DUIs he had escapes me, there were enough to revoke his license for 10 years. He and my mother divorced when I was two. My Mom told me a story once about how she came home from work to my 27-year-old Dad passed out on the kitchen floor with a gas burner running on the stove and the sink overflowing with water while my brother and I were toddling around in the next room. She says that was the day she knew she couldn’t be with him anymore. I do know that he must have had some kind of wake up call because he’s been sober for 26 years. My Dad never went to any AA meetings or support groups. He’s kind of the lone wolf type, and he quit cold turkey. He did the same thing with cigarettes when I was 17. He showed up to my brother’s wrestling match smelling like fresh linen and peppermint, rather than the typical musky, smoky, cigarette smell I was used to. I remember hugging him and thinking how nice it was. I had begged him to quit for years. I asked him about how he finally did it. Ladies and gentleman, that’s my Dad for you. I’m not going to lie, addiction scares me. They say the apple never falls far from the tree, and nearly 60% of your risk for addiction is genetic. I went through high school never touching a drop of alcohol or smoking a cigarette for fear that I’d end up like my Dad. When I really thinking about it though, would that be such a bad thing? If you met my Dad, you’d never know that he was an alcoholic. In fact, my Dad works part-time at a liquor store to make some extra cash. This is really kind of mind-blowing. So many people struggle with addiction and struggle even more to stay sober – but not my Dad. He makes up his mind and that’s it. Sure, he’s made some dumb decisions in his life, but who hasn’t? My Dad is my hero. For real. And I genuinely cannot express in words how proud I am of him. 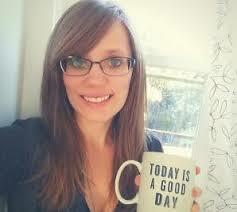 Jennifer Landis the writer and blogger behind Mindfulness Mama. She writes about healthy living, fitness, yoga, and parenting. She loves peanut butter, drinking tea, distance running, and – lately – Dr.Who. Follow her on Twitter @JenniferELanids. Wonderful and inspiring story – both you and your dad are very lucky to have each other. Thank you for sharing. He is a hero by right. God knows those addictions kill many people. Anyone who can get their life in order that way is a hero. Thank you for sharing. An encouraging tale. So good you never stopped loving him. Your father is a wonderful man. I recall tagging along for many play dates at your dad’s, and birthday parties, and I remember loving him dearly and getting so excited to be there. We all make mistakes, and I am so happy he was able to walk away from those. The best parents are the ones who don’t pretend to be perfect and overcome their own flaws because the love of and for their children is far more important.You and your dad remind me of me and mine.Wish you all the best for the future.Thank you for sharing. He sounds like a hero, indeed! Everyday heroes- the ones who matter most. Transformation, it’s why we’re here – to be changed by our experiences then inspire others to experience the same. Thank you for sharing a bit of your dad with the rest of the world.